If you love everything about the sea we have some suggestions for you. 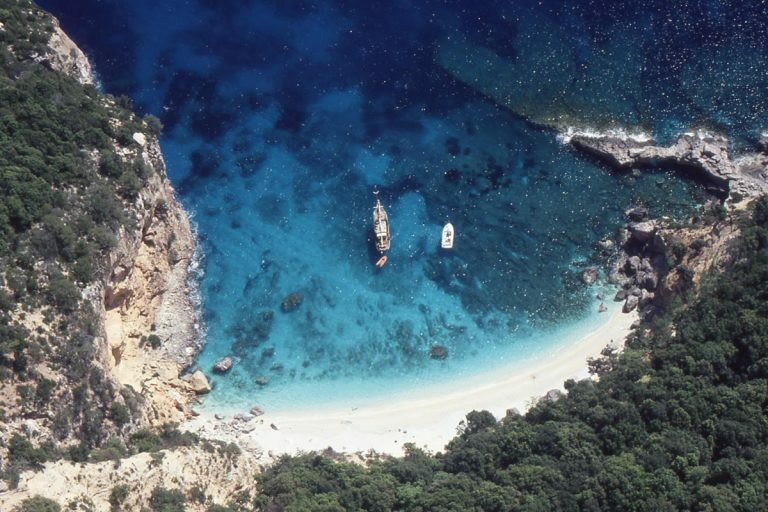 These are among the many ways you can enjoy the sea in Sardinia: take part in a variety of aqua sports like diving or snorkelling, go fishing or swimming in open water…we guarantee the sea will be beautiful, clean and luxuriant – respect it and enjoy it any way you wish. From the Port of Arabatax, a short drive from the hotel, you can take advantage of fun daily boat trips. These are trips on board large and well-equipped boats where you can visit coves otherwise only accessible on foot via trekking paths. You can spend a day visiting wonderful inlets, white sandy coves between huge rocks and secluded sea corners, with the most unique colours in the world. Some of the most visited and appreciated beaches on these sea trips around the Gulf of Orosei include Cala Luna, Cala Sisine, Cala Goloritzè with its imposing peak overlooking the sea, Cala Biriola and Cala Mariolu. 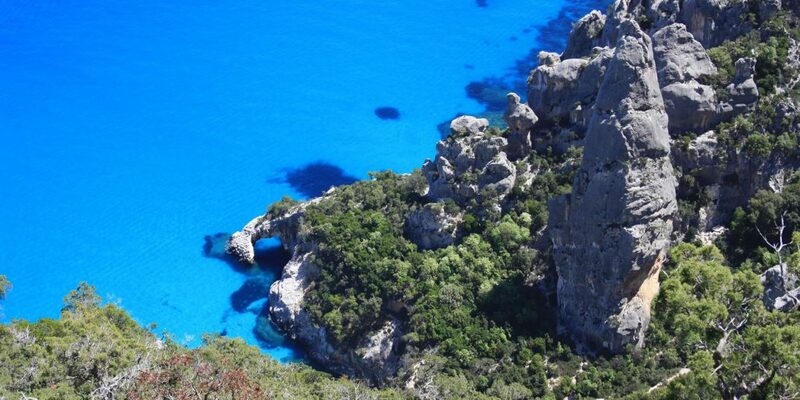 Don’t miss out on a guided tour to the famous Grotta del Bue Marino, always available on board the boat. The boat trips offer a tour along the coast with stops at the main beaches where you can rest for a few hours, have a dip in the sea, get some sun and refresh yourself while admiring absolutely unspoiled landscapes. At the Hotel we will give you all the information you need to organise the trip best suited to you and your travel companions. 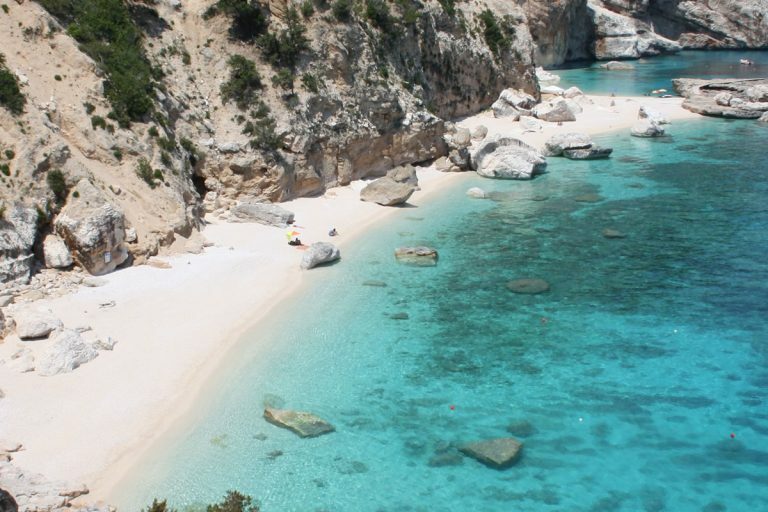 In the area of Tortolì, right next to the Hotel, you can visit some of the most beautiful beaches of Ogliastra. We will give you some recommendations, leaving you the pleasure of discovering all the others yourself. Located between Tortolì and Barisardo, discover the beach of Cea, a wide stretch of more than a kilometre long characterised by fine sand and surrounded by a flourishing Mediterranean scrub. Visit the Lido of Orrì, among the most famous beaches in the area – it’s a very large and long beach (16 km of shoreline), with very soft white sand and a crystalline sea, with a backdrop that remains low for many metres from the shore. And again, we recommend the beach of San Gemiliano – with its golden sand, it’s very spacious and ideal for families with children who love to play on the shore. It is a fairly frequented beach and therefore we advise arriving early on in the day.